When it comes to semiconductor packaging, working in collaboration can be beneficial to both the equipment manufacturer, and the packaging partner. While it's true that most micro-fabrication equipment producers have their own design teams with engineering expertise, there are packaging companies that specialize in preparing complex, fragile products for shipping. When you work with a packaging partner that has its own design and engineering team, there are synergies that can directly benefit you. 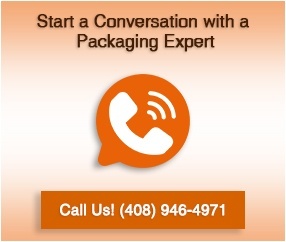 You will save time - You don't need to waste effort on bringing your packaging company up to par. They already know why it's important to match your exact specifications and needs. They speak your language - You share a great deal of the same engineering expertise and design experience. A third party "translator" is not required to see that you are on the same page. Collaboration is easy - Just send your files over. Packaging engineers work regularly with SolidWorks and CAD models/files and you can send design plans back and forth as needed. Reduced product damage - Discovering design flaws that may imperil your products before they are shipped is an obvious money saver. Your products arrive safely and future orders are not put at risk. Design backup - Working with a partner that shares your own packaging and engineering expertise places you at a great competitive advantage. This second set of eyes can add value and reduce the possibility of a shipping failure. Motivation to assist - Sharing the same values and expertise makes it possible to work together in a collaborative process with a common goal - providing solutions that insure the safe delivery of your equipment. Finally, selecting a packaging partner with engineering expertise can bring savings to your bottom line. A creative team, like ours at Larson Packaging Company, can work with you to identify less expensive materials that can be substituted without sacrificing quality and safety. When it comes to packaging semiconductor equipment, you do not need to compromise. Whether shipping ATA cases or using wood shipping crates, a creative design and engineering team can help you attain the best packaging solutions possible.